After speculation, Police Commissioner confirms to media that last week's fatal incident in Jerusalem was deliberate. "Today we can say that it is a horrible attack," Danino said in a statement after an investigation into Wednesday's incident. He ruled out initial suggestions that it had been an accident. 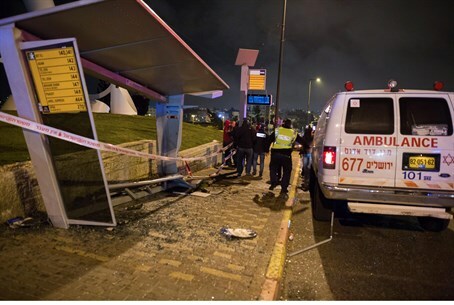 Shalom Yohai Sherki, 26, and Shira Klein, 20, were seriously injured in the attack on the bus stop in Jerusalem.